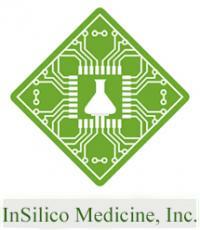 Insilico Medicine and InSilico Screen Merge To Take Human Aging Research To the Next Level. “The most valuable assets in bioinformatics companies are its people and at Insilico Medicine we constantly hire top talent through hackathons, challenges and competitions. Quentin Vanhaelen is an army of one who has developed a vertically-integrated system which synthesises data, performs complex simulations using manually-curated and automatically-annotated databases of molecular interactions primarily in Fortran, and produces impressive LaTeX reports. We are happy to have him join our team”, said Alex Zhavoronkov, PhD, CEO of Insilico Medicine, Inc. Since 2013, under Dr. Vanhaelen’s leadership, scientists at InSilicoScreen have assembled large databases of kinetic protein interactions and built sophisticated signal transmission, regulation of cell metabolism, autophagy, cell cycle and other models. The sole aim was to build models of human aging and regenerative processes to find new interventions and test the current ones on multiple levels from single cells to the entire organs. “I have known Insilico Medicine for over one and a half years and they were always under the spotlights of innovations, but I realized that they are very focused and with my models they can use their real human data and biologically-relevant pathway activation algorithms with my time-series simulations for many applications, including deep learning. I really like working with the team and will spend my time between Baltimore, Brussels and Moscow”, said Quentin Vanhaelen, PhD, founder and ex-CEO of InSilicoScreen. “We are very happy that our flagship portfolio company has expanded its scientific leadership with another eccentric, but amazingly brilliant theoretical physicist-turned systems biologist, who managed to build surprisingly sophisticated models of human biological networks that are fit for dynamic simulations” , said Dmitry Kaminskiy, senior partner of Deep Knowledge Ventures. Insilico Medicine, Inc. is a bioinformatics company located at the Emerging Technology Centers at the Johns Hopkins University Eastern campus in Baltimore. It utilizes advances in genomics, big data analysis and deep learning for in silico drug discovery and drug repurposing for aging and age-related diseases. Keywords: Aging bioinformatics; Insilico medicine; Aging; Regeneration processes.